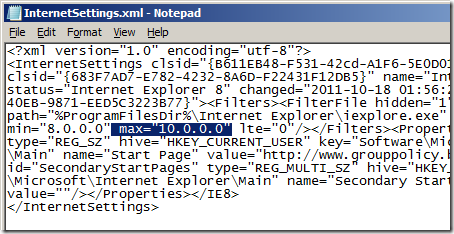 If you have have been using the some what simple hack I mentioned to make Group Policy Preference work with Internet Explorer 9 you will be relieved to know that Microsoft have now fixed an official hotfix to make this work. You can get read the full Microsoft Kb article at http://support.microsoft.com/kb/2530309 . This update does not re-write the version information for existing settings. 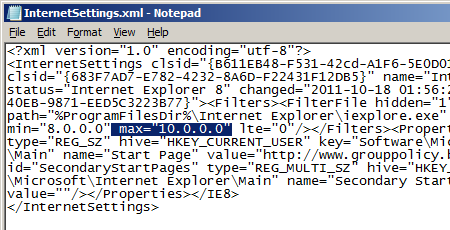 Instead, you must define a new set of Internet Explorer settings in a new or existing Group Policy Object. 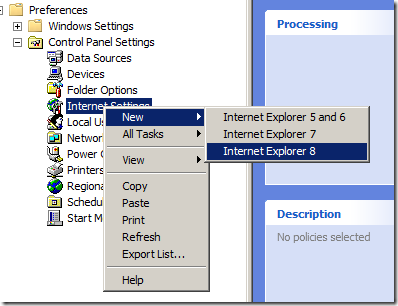 Meaning you will need to re-created the Group Policy Preference before the policy will apply to a computer running IE9. 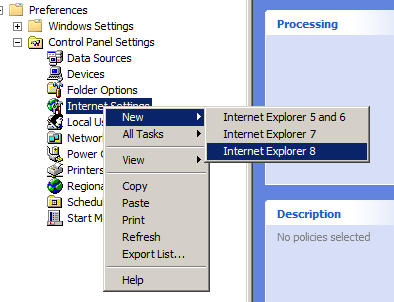 This means that you will NOT see an Internet Explorer 9 option in the Internet Settings menu (see image below), however using the IE8 option will work with IE9. Thanks to Mark Feetham [MSFT] for leaving a comment on my previous blog post about this new hotfix. of houses where the kitchen is the place where the women spend a large portion of their daily lives. the project will go over budget – sometimes significantly so. being bullied and called “ugly” all her life. month before your scheduled move so that they will have more time to grow.